Tyler and I had been wanting to try a vacuum sealer for awhile. 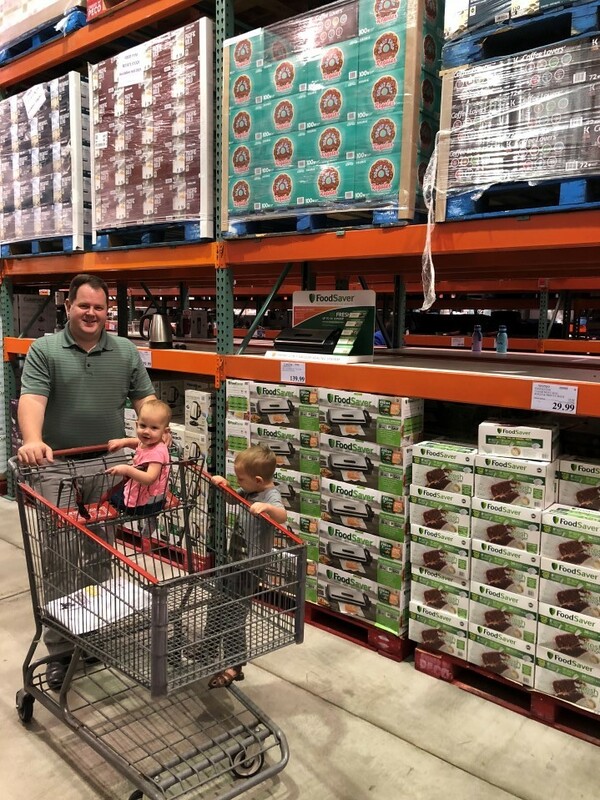 We like shopping at Costco, but some packages are a bit big for a family of four. A FoodSaver® FM3941 will allow us to save money by buying in bulk and vacuum packing and freezing for later. You can save up to $2700 yearly based on buying in bulk on sale and then freezing till later. If you are Costco lovers like we are, be sure to head there in November. 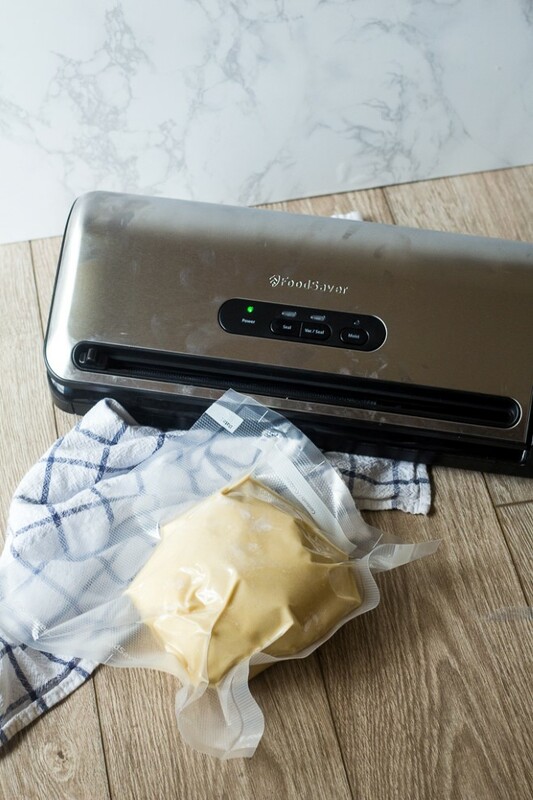 The FoodSaver® FM3941 Vacuum Sealing System will be $40 OFF in November and the FoodSaver® Bags and Rolls Value Pack will be $10 OFF in November (must have Costco membership). You can find them in the housewares aisle of the store. They’re amazing to serve to company, however, they are time intensive and not what you want to be spending all your time doing on Thanksgiving morning. Or even the night before. It’s easy to make the dough up ahead of time and freeze for later. When you use the FoodSaver® FM3941 it keeps food fresh up to 5x longer than ordinary storage methods like zipper bags, foil, plastic wrap and containers. Simply, mix up a basic yeast dough. I have post with a ton of tips and tricks on making basic yeast dough. And vaccum seal it with the FoodSaver® FM3941. It’s the number 1 vacuum sealing system in the country. Here are the basic steps. I was also thrilled the instruction booklet that came was super little. No big learning curve here. Open the FoodSaver® and insert the open end of the bag into the grey Vacuum Channel. Close the lid and turn the latch to the “On’ position. Press the Vac/Seal button and let the FoodSaver® run its cycle. It takes about 15 seconds. When the lights turn off, open the lid and remove the bag and pop it in the freezer. The night before you’re ready to make the rolls, take the dough out of the freezer and place it in a large bowl, cover loosely with a towel and refrigerate overnight. It will thaw overnight in the fridge and be ready to bake in the morning. 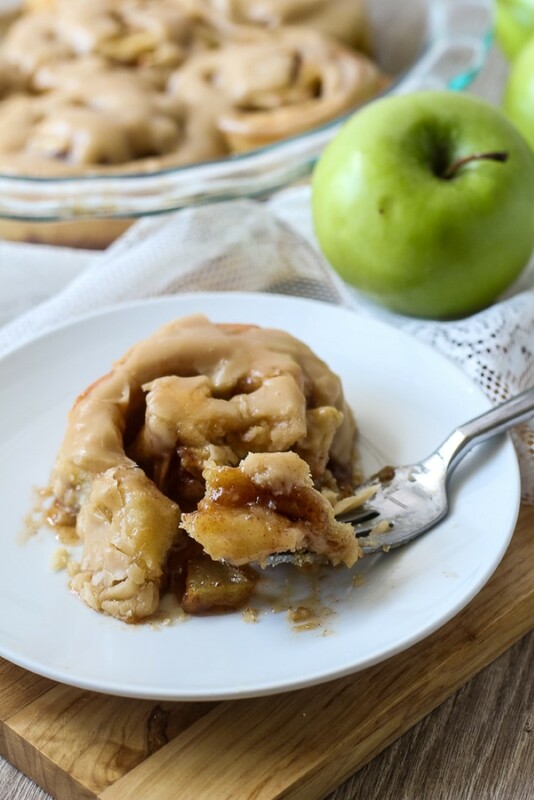 Your guests can wake up to warm cinnamon rolls in the morning with minimal work from you. 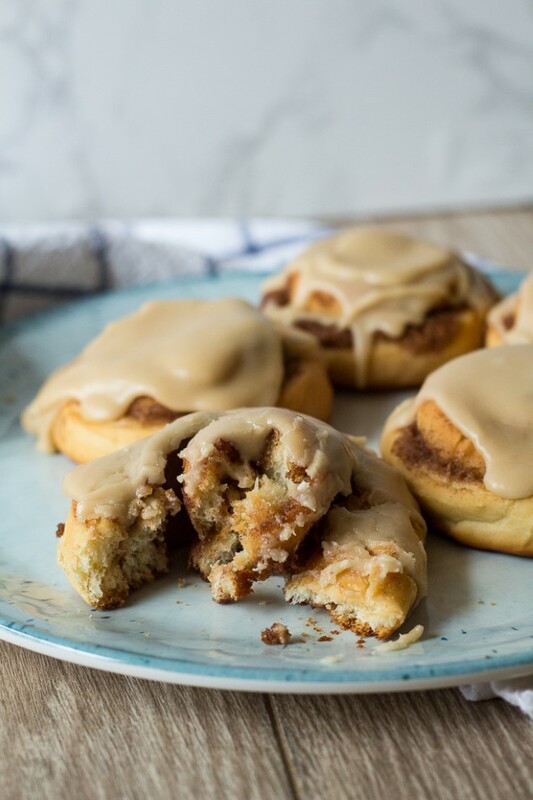 So go ahead and make the dough today for warm cinnamon rolls in several weeks during the holidays. 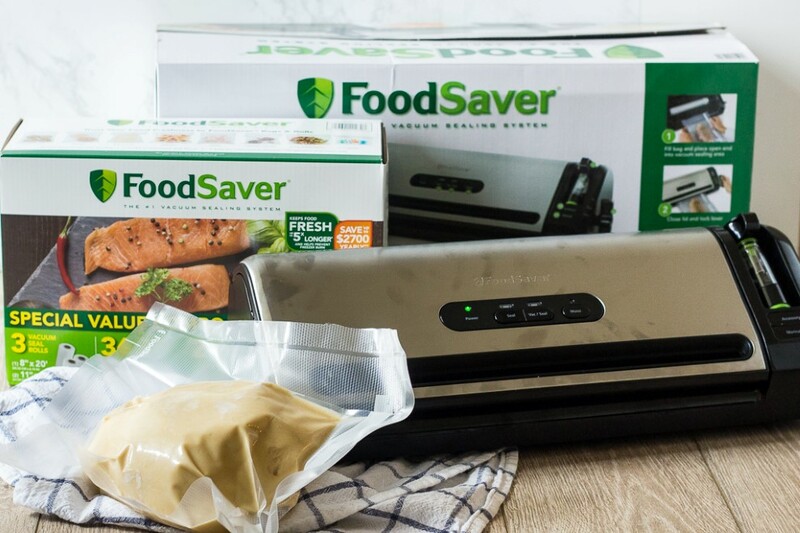 I’m excited to try using the FoodSaver® to marinate meat for company. Those of you that know me, know that cooking meat is not my strong point. If I could serve just dessert to all my guests I would. But using the FoodSaver® to take all the air out, you can ensure your meat will be cooked evenly throughout. Are cinnamon rolls a holiday tradition at your house? How do you save time and money when hosting company? Let me know in the comments. Also, don’t forget to head to Costco in November for $40 off the FoodSaver® FM3941 and $10 off the FoodSaver® Bags and Rolls Value Pack. Check out FoodSaver® on Facebook and Instagram for more tips on saving time, money and food. 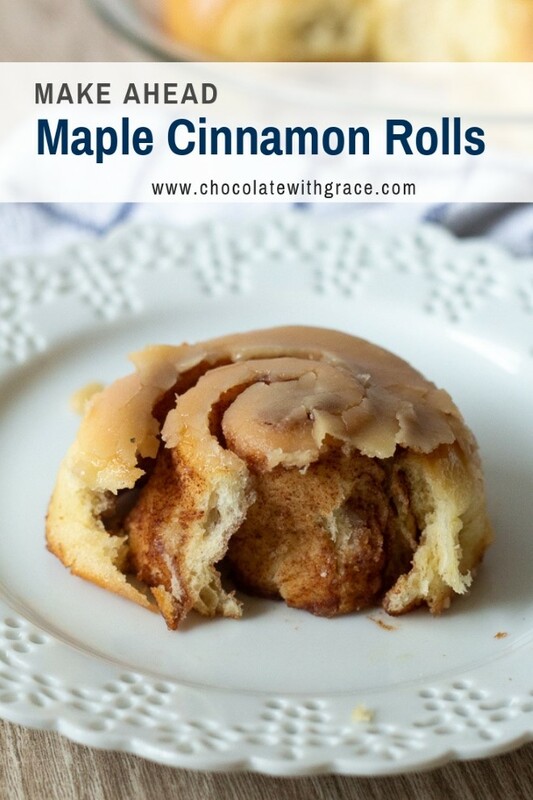 Make Ahead Maple Cinnamon Rolls are perfect for Thanksgiving and Christmas morning. 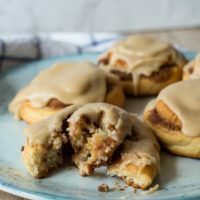 A soft cinnamon rolls with a maple glaze, these rolls are easy to make ahead of time to ease the stress of the holidays. 1 cup very warm milk (115 F), I use whole milk. ½ cup butter, well softened almost melting. In a large bowl, stir together the yeast and milk until dissolved. Beat in the sugar, butter, salt and eggs until well combined. Add the flour, one cup at a time, stirring until incorporated. The dough will be shaggy and still sticky. Turn out the dough onto a floured surface and knead 5-6 minutes until smooth and elastic. Or if you use a mixer, knead 4-5 minutes. 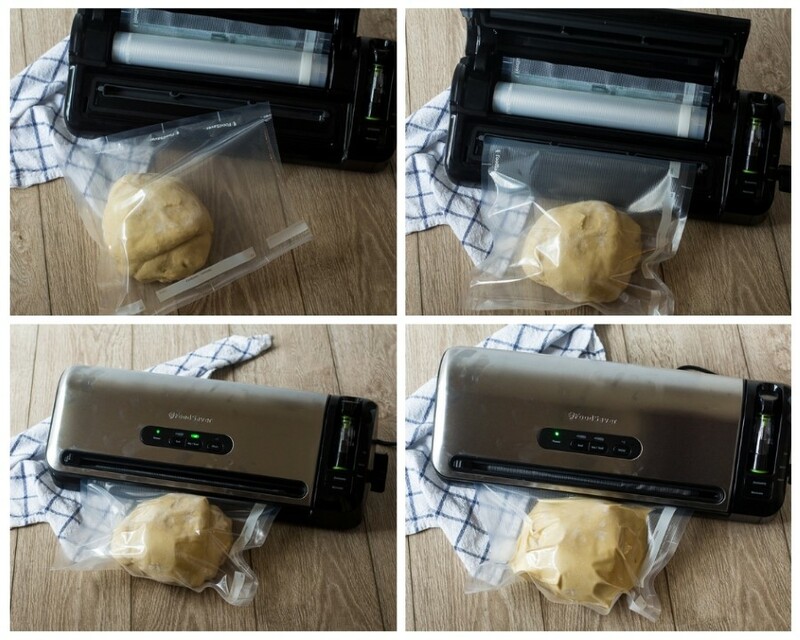 When dough is needed place in a FoodSaver® bag and vacuum seal according to instructions. Place the sealed bag in the freezer. The night before you're ready to make the rolls, take the dough out of the freezer and place it in a large bowl, cover loosely with a towel and refrigerate overnight. It will thaw overnight in the fridge and be ready to bake in the morning. The next morning take the dough out and let come to room temperature. Meanwhile, stir together the brown sugar and cinnamon for the filling. Divide the dough in half and work with one half of the dough at a time. Roll the dough into a 12 x 18 inch rectangle. Be patient with the dough. Spread ½ of the butter (1/4 cup) on the rectangle. Spread it to the edges, leaving 1 inch section bare on one of the 12 inch sides. Sprinkle ½ of the brown sugar filling on top. Roll up tightly starting with the 12 inch side. Cut into 1-1.5 inch sections with dental floss or a very sharp knife. Place 3 inches apart in a greased baking dish. Repeat with the remaining half of the dough. To make the maple glaze, heat the butter and maple syrup in a saucepan over low heat until the butter is melted and mixture is warm. Do not let it boil. Whisk in the powdered sugar and maple extract if desired until smooth. 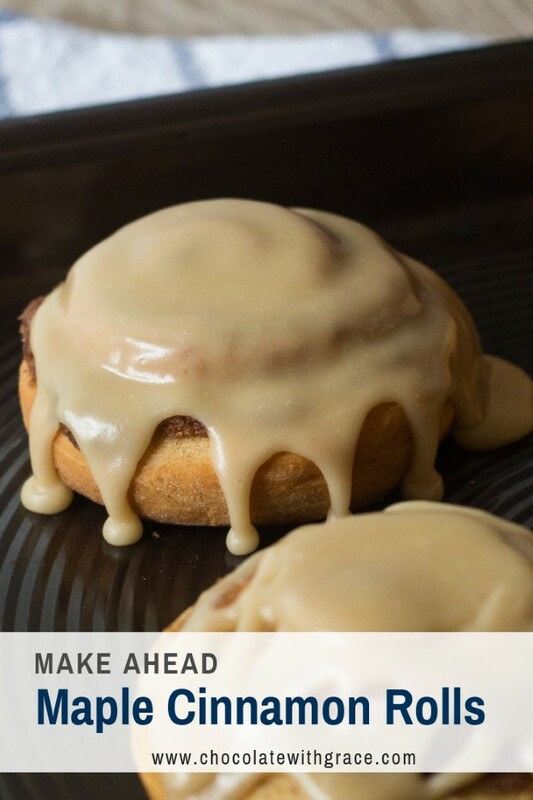 Spoon over warm cinnamon rolls. You can skip freezing the dough. After kneading, place the dough back in the bowl and let rise in a warm spot until double. Punch the dough down and knead a few times before continuing at step #7. 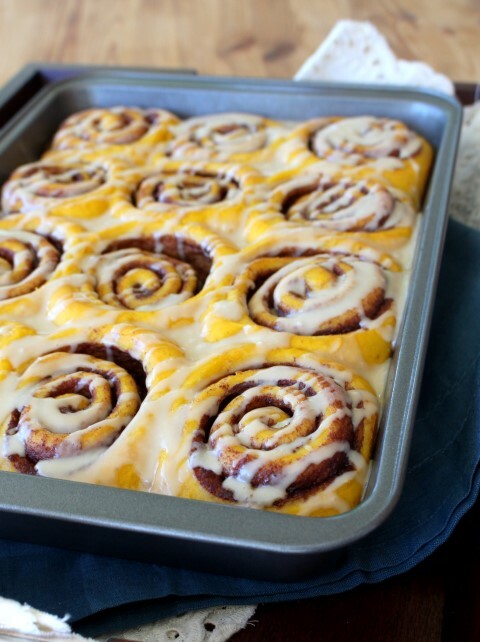 You can also make these delicious cinnamon rolls with the dough you froze using the FoodSaver®.